For Guitar. Composed by Various Artists. Arranged by Richard Lieberson. Music Sales America. Flatpicking, Folk. Book Only. Composed 2005. 128 pages. Music Sales #MUSAM16585. Published by Music Sales (HL.14023971). 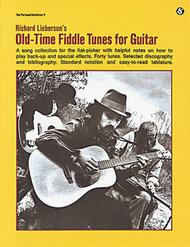 Forty tunes for the flat-picker with notes on playing back-up and special effects. Standard notation and tablature. Discography and bibliography. Includes 'The Girl I Left Behind', 'The Eighth Of January', 'Salt River', 'Liberty'and 'Red Haired Boy'.